A man who allegedly threatened to harm the LGBTQ community with explosives and twice stole a rainbow flag from the Guerneville Chamber of Commerce made an appearance in court Tuesday. GUERNEVILLE, Calif. (KGO) -- A man who allegedly threatened to harm the LGBTQ community with explosives and twice stole a rainbow flag from the Guerneville Chamber of Commerce made an appearance in court Tuesday. It began with a pride flag stolen, and then tossed into the Russian River. Today, the story entered a new phase in Sonoma County Superior Court. It has been symbolic from the start. "Every time he is in court, I will be here," said Beth Sheets, who joined several other people in watching proceedings. The flag, symbolizing LGBTQ pride, was stolen on April 26 from the building at 16201 First Street in the unincorporated area of Guerneville in Sonoma County. 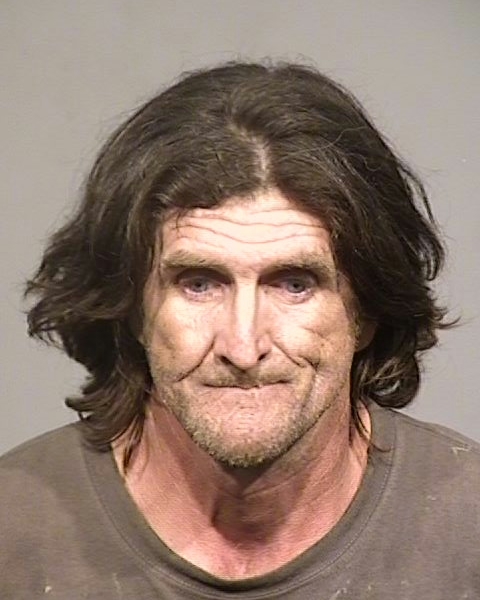 A man named Vincent O'Sullivan, 55, is seen in this undated image. This marked the first appearance of Vincent Joseph O'Sullivan, Jr. following his arrest last weekend. He pleaded not guilty to misdemeanor charges Tuesday of stealing a pride flag from the county flagpole in Guerneville, and also to felony charges of a hate crime by threatening to blow up gay people, a grocery store, and sheriff's substation with a pipe bomb. "It is a terrorist threat. He did not take action to carry out that act," said Sonoma County Sherriff's Department spokesman, Sgt. Spencer Crum. In open-minded and permissive Guerneville, both alleged crimes resonate disturbingly. Hence, a large group who came to court today. "We're here to protect ourselves from people who want to blow us up," said Guerneville resident Jennifer Wentz. "It is about a community of people who have been discriminated against," added Beth Streets. Beth Streets had lobbied with the county to place that pride flag in the town square, beneath the American and California flags. A surveillance video from last week shows two men. One of them covers the camera's lens, and then the flag disappears. The thieves reportedly left a warning signed in the name of veterans. David Juarez told us today that the notes certainly do not speak for him. "I was leery of coming here. My husband said as a veteran and openly gay person you have to do that." They will continue to be on hand as the cases move forward. You might call it a matter of pride and principle.